Finland is a safe country to live. In many studies Finland has been voted one of the best welfare states. Many foreigners admire the Finnish education system and health care system. Every Finn should appreciate these systems. I think these systems are big reasons for why Finland is considered as a good country to live. Lakes, summercottage, nightless night, Midsummer, nature, festivals.. The best time of the year is summer! One of the most relaxing moments is to sit at the pier of the summer cottage, admiring the silent lake and beautiful nature. Missing those moments already. Additionally Finnish nature is so beautiful. Many Finns love sauna. Sauna is the hot room where people are naked. foreigners wonder that Finnish habit. In addition there are many musicfestivals in Finland. It´s wonderful to enjoy good music in the summer evening. It´s a lot of snow in winter, at least in Lapland. Many Finns like to ski and ice-skate in winter. Children ski and ice-skate already in the elementaryschool. Finnish people begin to wait for Christmas on november. People spend time with their loved ones on Christmas. Finnish language is different and difficult to learn. I appreciate immigrants who have learned to speak Finnish language. Finland is amazing country. We don’t have mountains but we have the four seasons, our air is one of the cleanest in the world and nature is always close to you. In Finland you can experience the cottage life, admire the Northern Lights and enjoy all this with good food and company! I listed here three things I like about Finland the most. 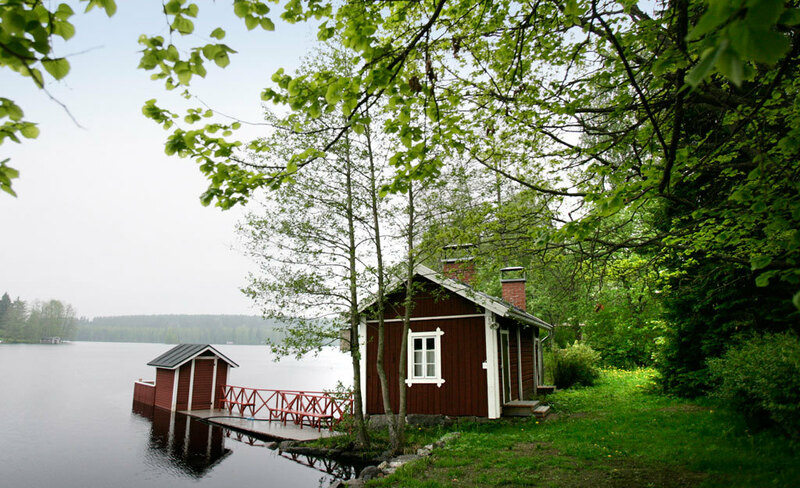 It is very common in Finland that people have their own cottage. Usually it is placed somewhere close to the nature and my favorite is a lakeside cottage. Cottages always have to have sauna! To guarantee that ultimate relaxation which you are looking for your time at the cottage. We go to the cottages to spend our holidays, usually to relax and spend time with the family and do common Finnish sports or free time activities. Sometimes also to go away from the people. But because there isn’t somebody living the whole year at the cottage, it usually includes some chores like mowing the lawn and making firewood. And let’s not forget berry picking! I love it. We are a country of thousands of lakes and forests and there are 40 national parks in Finland. Finns like their own space and in the nature you will have space to breathe and load your batteries away from the rush. I like hiking in the nature and in Finland this is very easy to do because nature is always close to you. In Summer you can do hiking, mountain biking, swimming in the lake and what not. In the winter there is even more possibilities and your interest for any kind of winter activity will be fulfilled! I am from the northern part of Finland and it’s still thrilling to witness the Aurora Borealis. The Northern Lights are visible mostly in Finnish Lapland but rarely they are so strong that you can see them in Tampere too. Catching the magical fox fires requires clear and dark skies and you should go away from the city lights to see them better. Finns like to eat and appreciate home made food. We have many good food things! Finnish berries are packed with wonderful flavors and healthy vitamins. In the forest you will find also mushrooms and fresh wild herbs. Just remember that some of them are not eatable. And all this is for free if you have time to go to the forest and pick your own. We have some traditional foods, for example Karelian pie. These pastries are from the eastern province of Karelia. Karelian pies are like small tasty bread. The crust is made with rye flour and filled with potatoes, rice or carrots. Karelian pie is traditionally eaten with an egg butter spread on top. 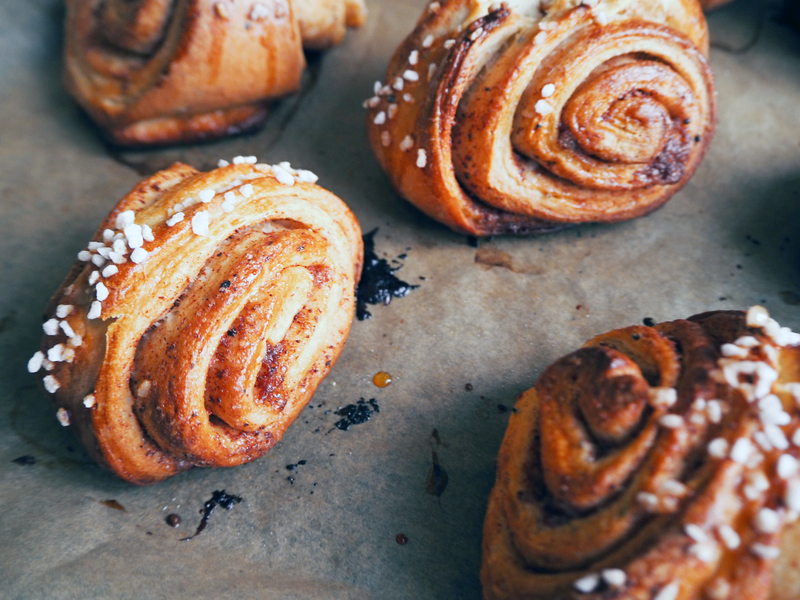 Something sweet and finnish: Korvapuusti (cinnamon buns). It is really tasty and typical dessert on the coffee break. 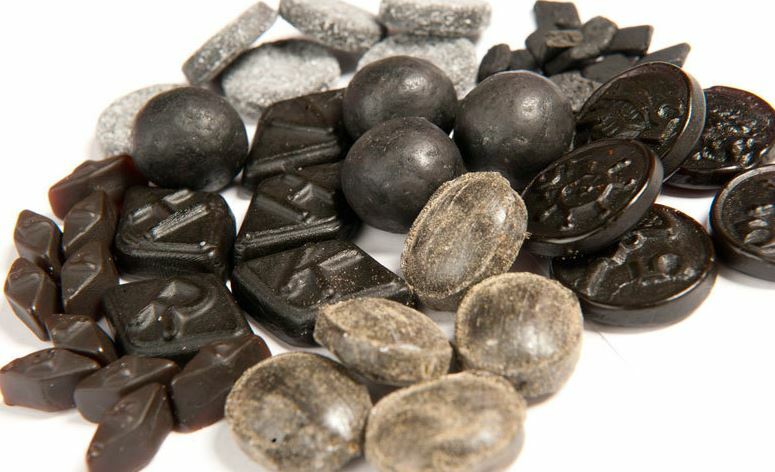 Last one about food I want to mention salty liquorice ”salmiakki”. We Finns love it but usually foreign people don’t like it.